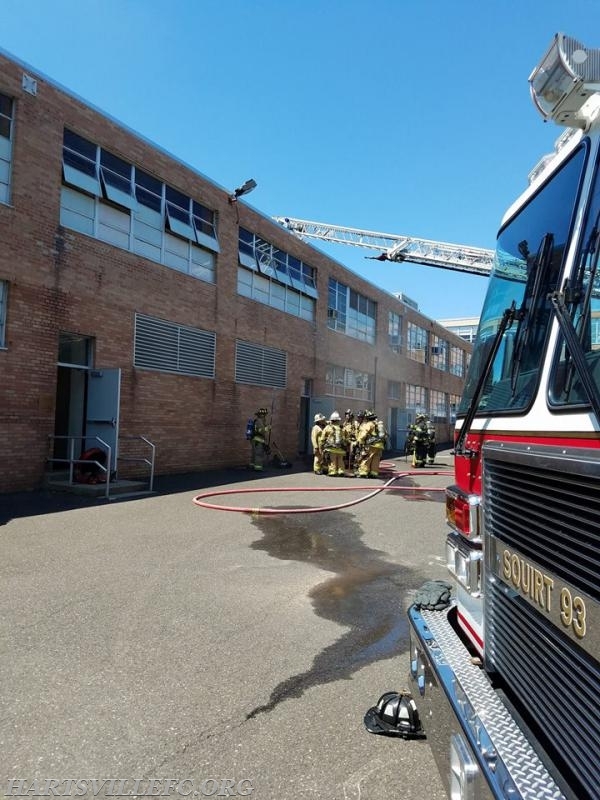 On July 10th, around 11am, Warminster, Hartsville, and surrounding fire companies were dispatched for a reported fire at the Arch Bishop Wood High school. Squirt 93 (Lt. Kirchner) responded with a full crew. Squirt 93 was first to arrive and after performing forcible entry, advanced a hose line for fire attack. The fire was quickly brought under control and the building was ventilated. Crews were on scene for over 2 hours. The cause of the fire is under investigation by the Warminster Township Fire Marshal.